From a living art gallery inside an old warehouse to a sumptuous 19th century neoclassical palace hotel, take a look at some of the most artsy accommodations across the world. Have you ever walked into a hotel only to stop and marvel at the aesthetic spectacle that lies before you? A hotel stay is very much a journey in itself, one that stays with you beyond your days of travel to the destination. The current, widely diluted hospitality industry landscape dictates hoteliers to create unique ways to engage with travellers. If you find a typically staid but slick luxury hotel drawing design cues from neo-classical decorative arts after a renovation bout, it simply reflects a larger hospitality trend worldwide. This is ushering in a design renaissance of sorts in an otherwise traditionally homogeneous environment. While faultless service, round-the-clock restaurants, modern amenities, and comfortable dÃ©cor are the hallmarks of creating a successful hospitality venture, art has become a hotel design staple in recent years, creating an dynamic environment for discerning guests. Here are some unique hotels that have lent an artful approach to hospitality. Effortlessly bohemian and unapologetically hedonistic, the Gramercy Park Hotel has been a historic hotspot for New Yorkers for the last 80 years. The celebrity roll call includes names like Bob Marley, Bob Dylan, Margaret Hamilton, David Mamet, Matt Dillon, David Bowie, The Clash, and Madonna. But aside from this glamorous list of jetsetters who temporarily made it their home, the hotel is most famous for its impressive art collection that's partly curated by artist and award-winning film director Julian Schnabel. The hotel decor is a plush juxtaposition of brickwork and untreated wood beams made of Douglas fir and walnut, where Baroque Louis XV chairs sit below a changing collection of hand-selected masterpieces of modern art by the likes of Maarten Baas, Andy Warhol, Jean-Michel Basquiat, Cy Twombly, Damien Hirst and Richard Prince. Imagine a robust collection of 300 original works of art by emerging and established Tasmanian artists juxtaposed on the wharf side of a former jam warehouse, circa 1804. Combine that with a room design that integrates the original features of the warehouse into uniquely laid-out space, (think, glassed-over stone wall shower). Now, imagine falling asleep in this art gallery or dining among the marvellous pieces on display, and you have a basic idea of the heady cocktail of art and architecture that the Henry Jones Art Hotel throws at you. Aside from living amongst the works during your stay, you can also take home your favourite piece, as all the works are for sale. A few steps away from the Champs Elysees, the Le Royal Monceau Raffles hotel in Paris has been transformed into a modern palace infused with the French spirit. Imagined by renowned interior designer Philippe Starck, the hotel creates a luminous environment with attention to detail and fiercely original design aesthetics. 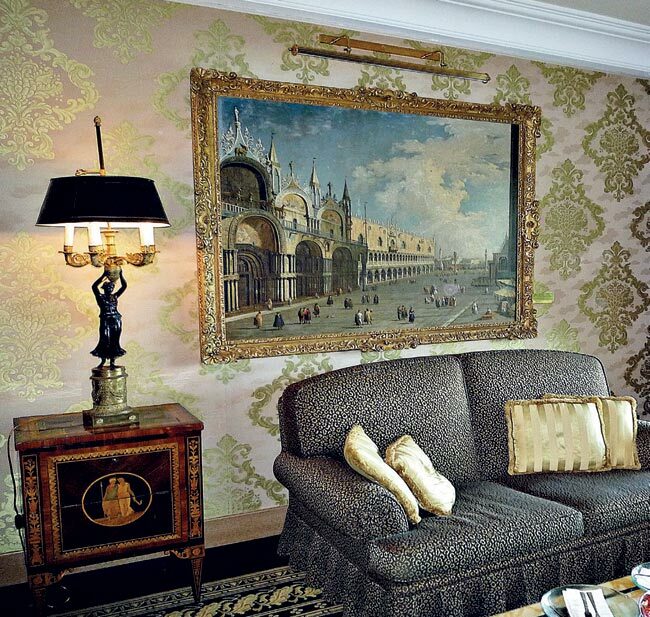 The rooms are conceived as artist's studios and feature forties-inspired dÃ©cor and fine-art photography. 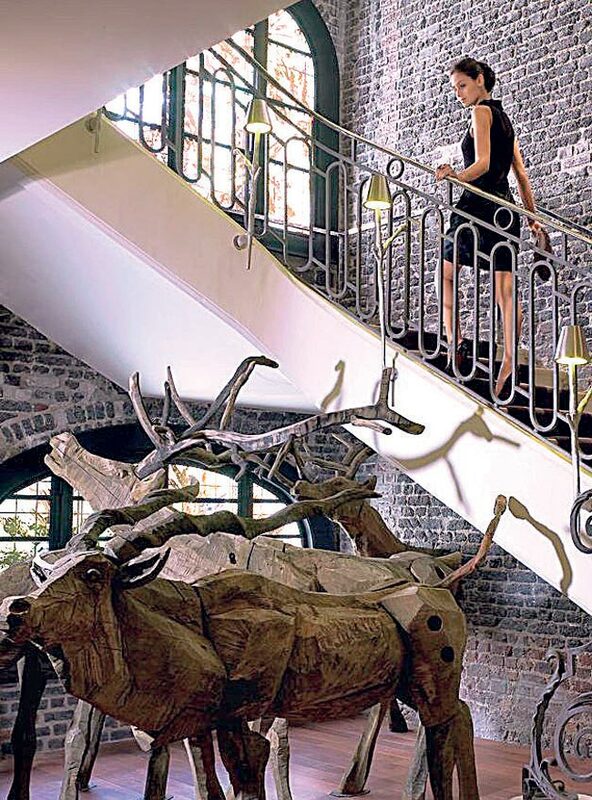 Elsewhere in the hotel, you can find lifesize installations of wooden deer and elk, an exhibition space and an art bookshop. For some off-duty art soirees, consult the art concierge at the hotel who provides a weekly diary of must-see art events in Paris. Set within a 15-acre private park on the hill of Monte Mario, with incredible views of Rome and the Vatican City, this magnificent five-star hotel is equally breathtaking on the inside. 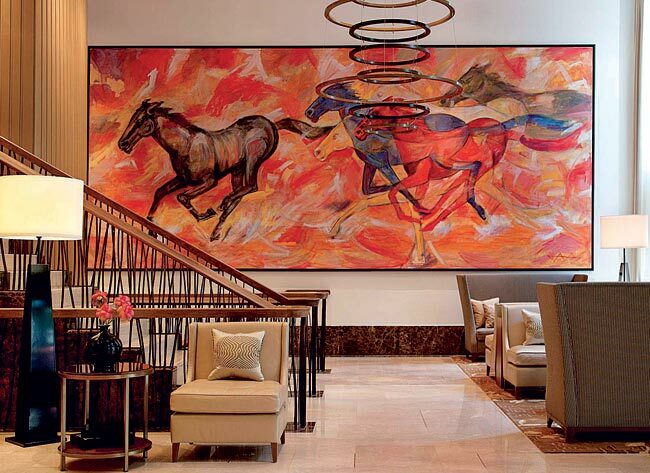 The hotel is home to one of the greatest private art collections in the world. 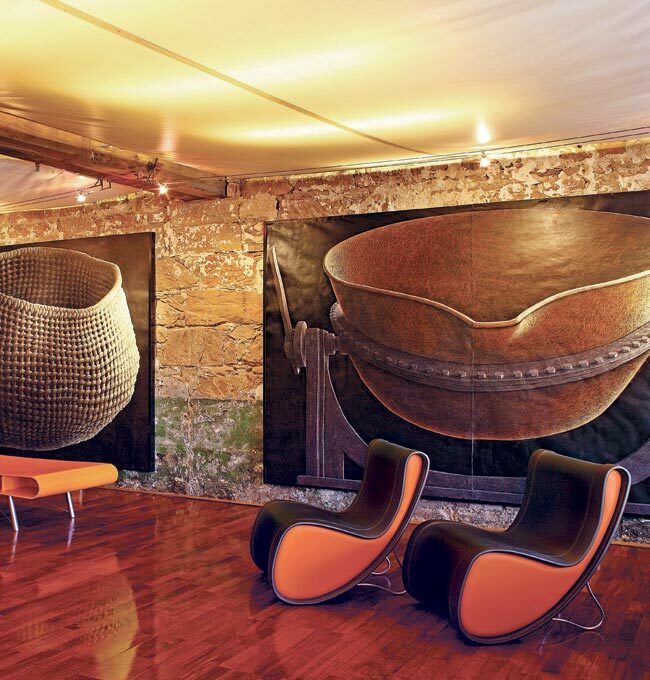 There are Warhols and Indianas, Bacchanalian frescoes, Old Masters to contemporary art, from French antiques to rare tapestries, sculpture and ceramics: it is an art lover's paradise. The experience is likened to guests living within a private art exhibition where art abounds at every corner rather than something to be viewed from the other side of a museum guard rope. 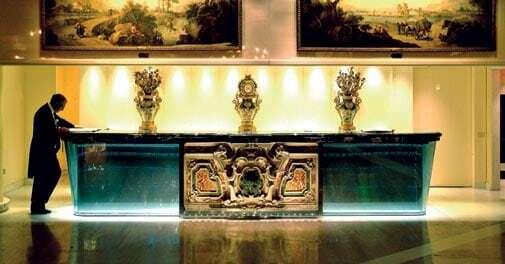 If you happen to be staying at the Rome Cavalieri, we recommend that you make time for a guided art tour of the property with an in-house art historian.